Six-time Tony winner Dear Evan Hansen has released a brand new deluxe version of their cast album on November 2, 2018. The album has first been released digitally with a physical album being released at a later date. The album features six additional tracks including a 'Waving Through A Window' cover by pop sensation Katy Perry, an acoustic version of 'Disappear' and the demo version of 'In The Bedroom Down The Hall'. The original album garnered the 2018 Grammy award for Best Musical Theater Album. The full additional tracklist is as follows; Part of Me (Bonus Track), Disappear (Acoustic), In The Bedroom Down The Hall (Demo), Obvious (Bonus Track), Hiding In Your Hands (Bonus Track) and Waving Through A Windo (Katy Perry Bonus Track). The recording's release was celebrated with a YouTube digital listening party on November 2 at midnight. Dear Evan Hansen is a cautionary tale about how a lie can spread across a community before the truth even has its running shoes on. The Evan of the story is an anxiety-ridden high school misfit who is desperate for any form of recognition from his peers. So much so, that when his classmate commits suicide after suffering depression, a mysterious suicide note appears in the weeks after, seemingly addressed to Evan. 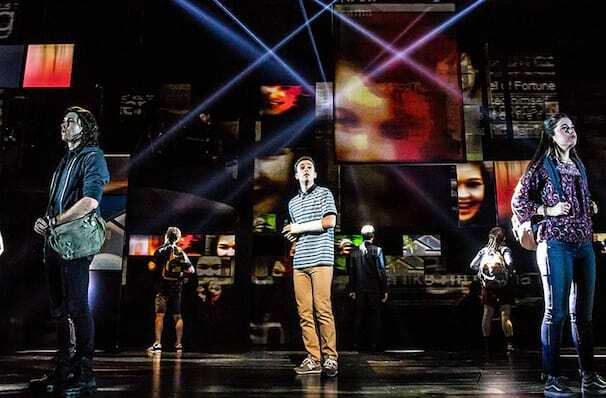 View our show pages for more information about Dear Evan Hansen, Orpheum Theater.